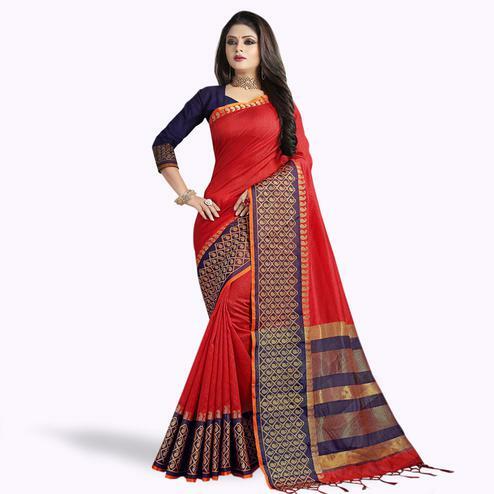 This black color saree made from cotton fabric has got plain body and big traditional design motifs besides the floral and paisley pattern zari weaving work border as shown. 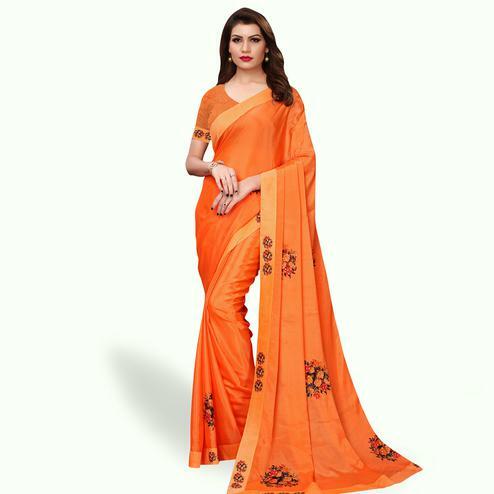 This saree comes along with black cotton silk blouse piece having similar design border. 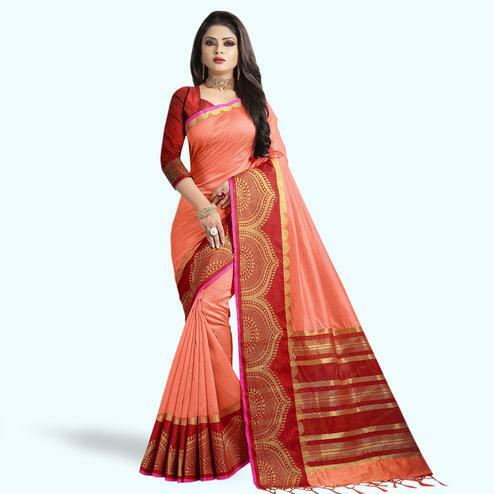 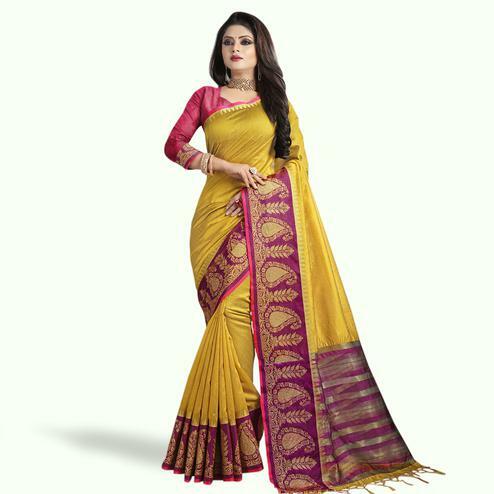 Women can wear this saree for casual functions and occasions.